Hush TeaBar invites you to embark on a journey of experiential empathy in a cup. Step into the shoes of our Deaf TeaRistas as they lead you into a journey of inward reflection of awareness and peace. Sit in silence, listen to your heart and descend into a personal meditation as we immerse you into a (personal) story told by each sip of Hush's StoryTelling TeaMoods. Engage in signs, contemplate in TeaWisdom reflection and join the Hush-it-On movement. Come and join us for a multi-sensorial experience this Singapore Tea Festival. All you'll need is an open mind. 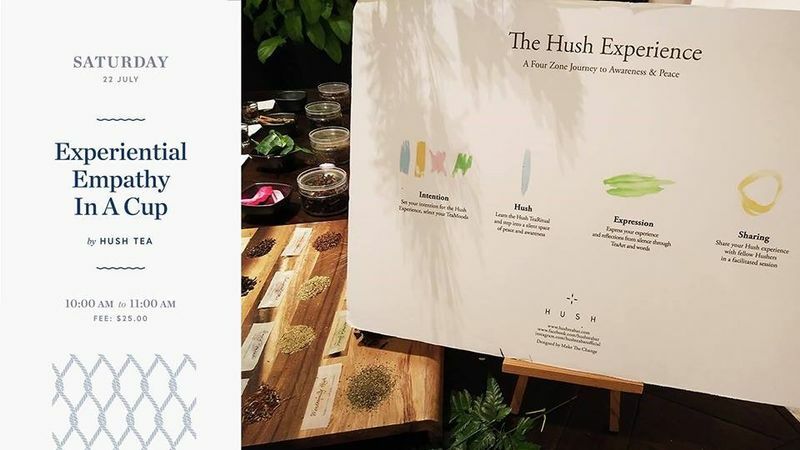 As Singapore’s first roving silent teabar, Hush brings the world of the Deaf and Hearing together through a cup of tea. The social movement presents a series of multi-sensorial pockets of experiential empathy, guided by our Deaf TeaRistas with silence, and in silence.